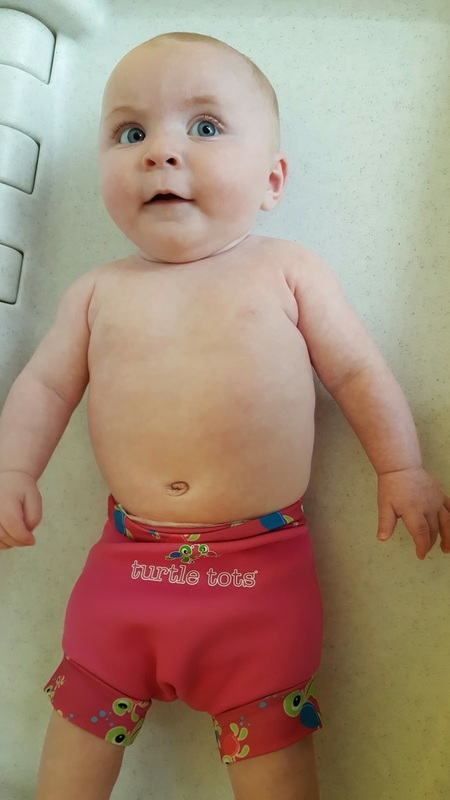 When Elliot was 4 month old, we began baby swimming lessons with Turtle Tots - it was a brilliant experience and I'm so glad we did it. He's so confident in the water and is now in a swimming class with kids who are 1/2 years older than him. 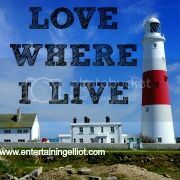 When Erin was born I knew that I'd like to take her to swimming lessons and I began looking around to see what availability was in my area. 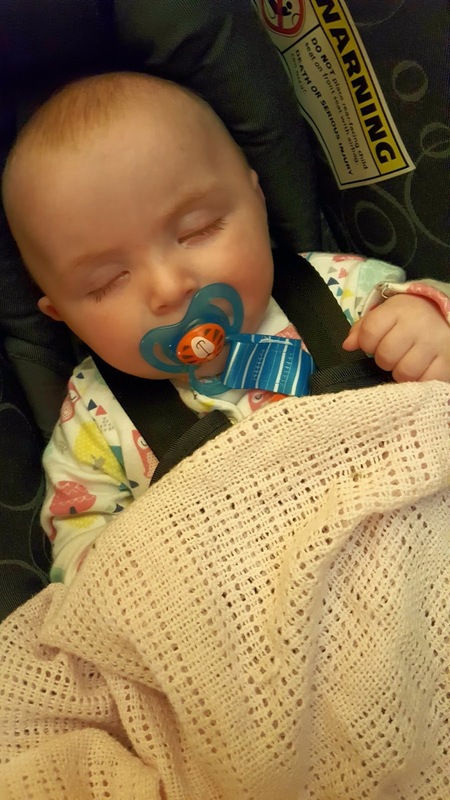 Coincidentally, Turtle Tots were starting a brand new baby class at a local holiday park, just 5 minutes drive from my house - hows that for good timing! Well, I had a feeling she might like being in the pool and I was right - she LOVED it!! She had a big smile from the first minute we got in the pool and we've not had any tears yet 5 lessons in. The babies are taught to swim using songs and repetition and given cues to enable them to swim underwater. By practising the cues each week, this gets the baby used to having water on their face and prepares them for going underwater. Erin is encouraged to kick her legs as she swims and we have been practising swimming on her back. As she progresses she will be able to hold on to the side by herself and swim with a woggle. 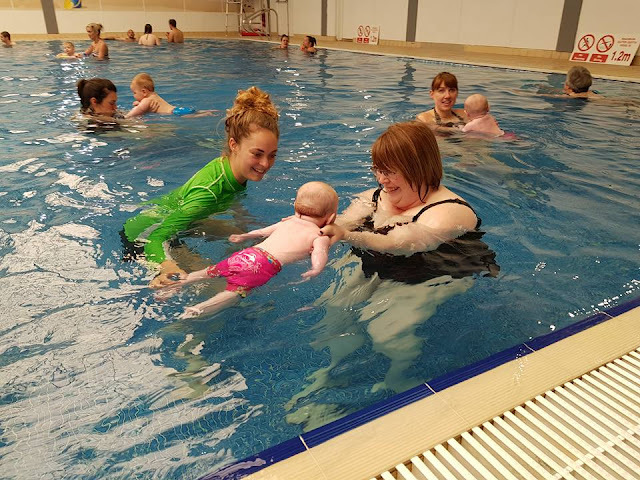 I think it's so important for children to be able to swim and lessons such as Turtle Tots give them the necessary skills and confidence to do so. 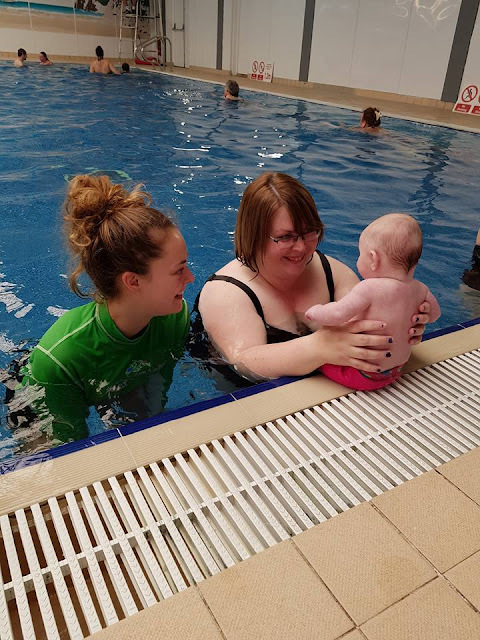 I know lots of new mums wonder whether baby swimming lessons are worth it and I would say a big fat yes! One tired baby after half an hour in the pool!